For a spectacular ocean walk (usually with hundreds of others for company), try this one around Tamarama Bay. From Tamarama Marine Drive we look back to where Alan was walking around Mackenzies Bay (see previous photo). 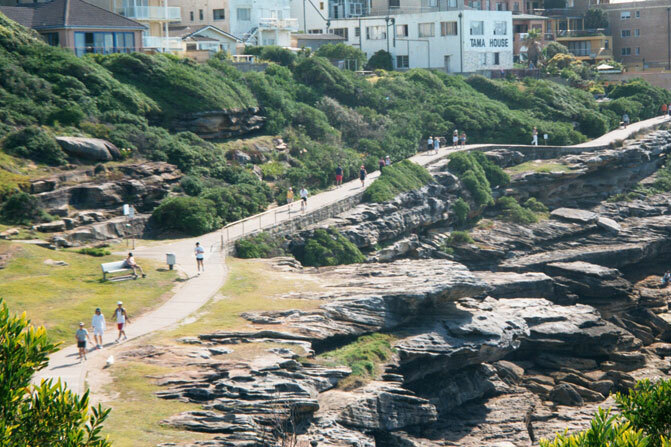 If you forget to leave the path at the Tamarama border (Mackenzies Point), that is good news, because ten minutes later the path will have you at world-famous Bondi Beach. 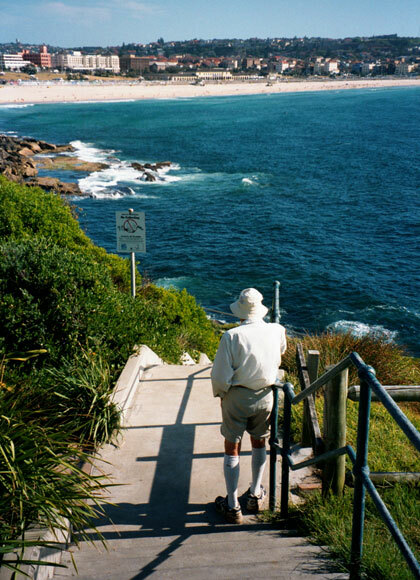 From a suburb cliff top walk at Fletcher Street, Tamarama, Alan looks across to the famous Bondi Beach. The Rocks is the best preserved area of old Sydney. 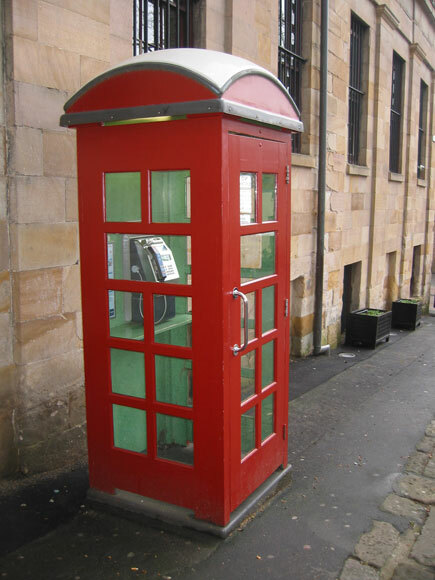 Argyle Street even boasts one of the red phone boxes that were everywhere in Sydney decades ago. 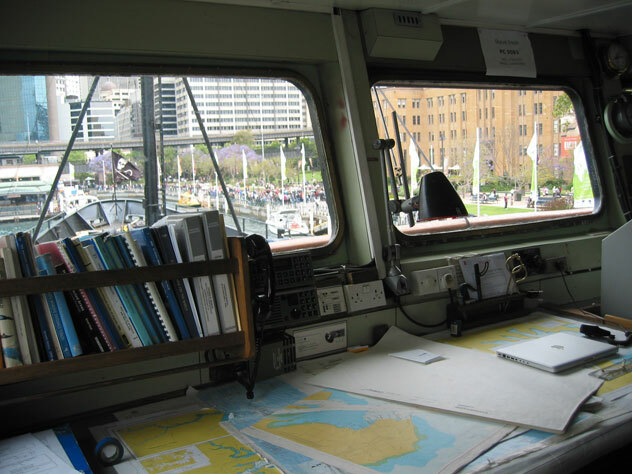 The SE corner of The Rocks as seen from the bridge of the Sea Shepherd. 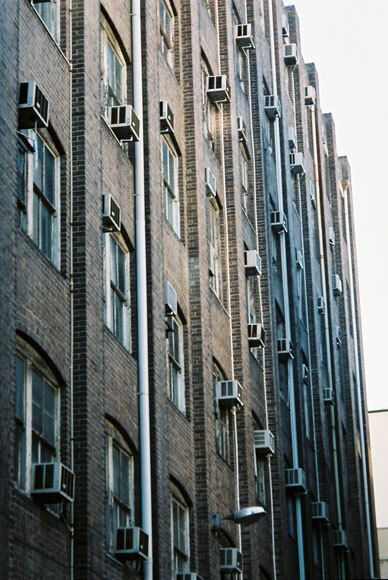 Like bees resting on their hive, air conditioners form a neat pattern in Kettle Lane, Ultimo.